Edwin Deakin, Sunrise, Squaw Valley, 1871. Oil on canvas. Purchased by The Society of California Pioneers. 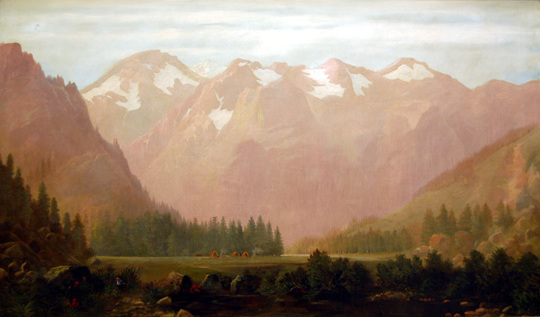 Even up until the last decade of the nineteenth century, California’s natural beauty was still being discovered, and artists were quick to fill the growing demand for paintings of the state’s rich natural environment. The topography of California and the region’s abundant botanical life provided countless subjects for these artists’ depictions of life in the new land. By exploring the theme of landscape, this exhibition helped show where our understanding of California as a beautiful and distinctive land began.